Tap into botanical decor with Besselink & Jones. Emerald and myrtle green shades are charging through interiors and will be a popular choice for 2019. Besselink & Jones have a selection of luxurious lighting to help achieve a tropical yet traditional touch to your home. 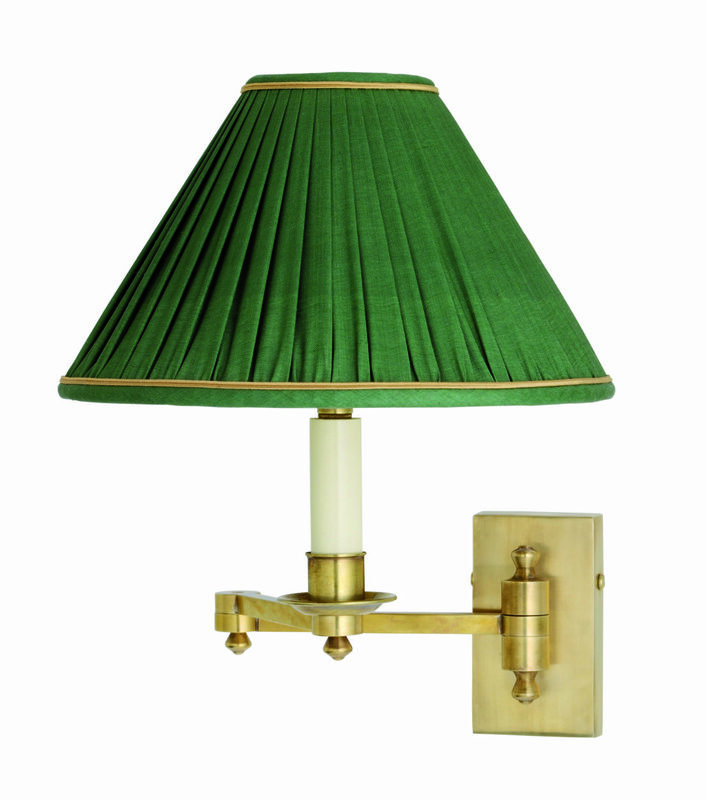 Depending on your decor, these lamps are available in brass, bronzes, chromes and nickels. The Smartie Major Swing Arm Floor Lamp with Reeded Centre would be a unique centerpiece to add to your living room. If you are looking for a more victorian vibe then opt for the Smartie Minor Standard Floor Lamp with 14″ Adjustable Lipped Cherrywood Table. For smaller living spaces, invest in the 1-Arm Denton Wall Light with Medium Backplate or the 2-Arm Glover with Medium Backplate. These premium wall lights will bring the jungle to your bedroom.